Dinner last night was supposed to be a Caesar salad with blackened salmon. Too late we realized we didn’t have a few key ingredients. 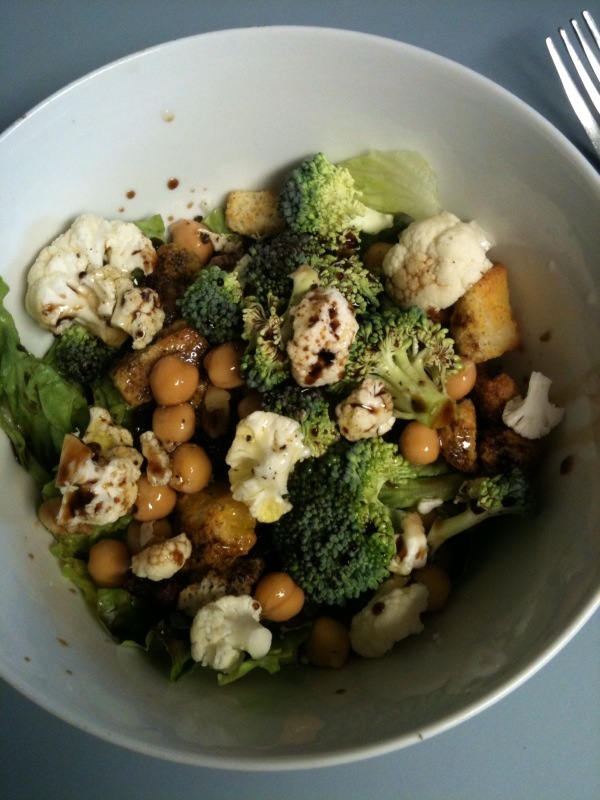 Instead of a Caesar I just made a regular salad with Balsamic and Oil. 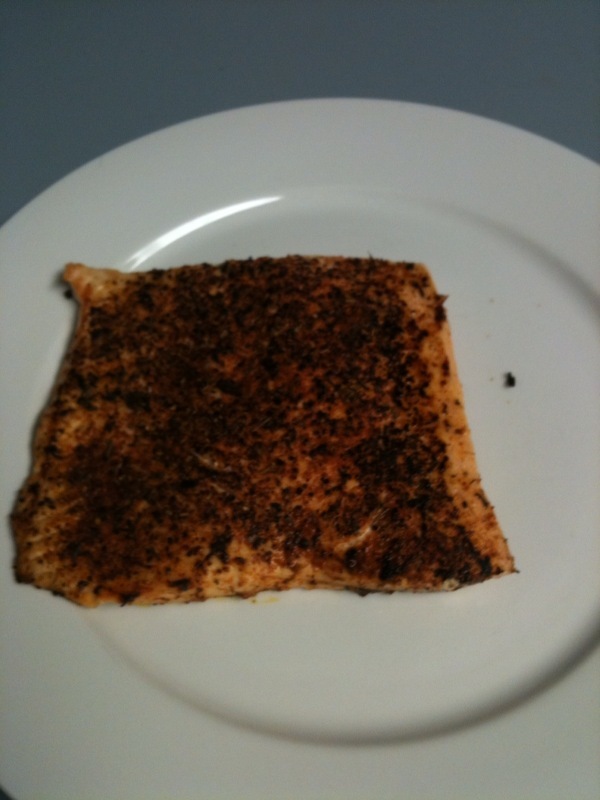 Michael blackened the salmon with his special concoction. It’s very spicy!! Be warned! We used it a lot for different things. Sometimes Michael will pick up an Ahi Tuna steak and sear it with the blackening spice. We use it a lot on salmon. I ended up putting my blackened salmon on my salad and it was a delicious combo! For lunch today I made a peanut butter and jelly sandwich on a Sandwich Thin. I’m pretty sick of ham and turkey sandwiches right now. I need to figure something else out asap! QUESTION: Is there a food item you’re sick of eating lately? I’m bookmarking this. I’m always looking for new combos of spices- the right ones really make or break meals. Cool! Definitely try it. The more spice you put on the food, the spicier it is. The BF has a heavy hand when he uses it. I love blackened spices! I rarely make it at home. Thanks for the recipe!! My food is so versatile, I don’t get sick of anything!! Okay cranberry apple butter…holy yum!! I’m sick of yogurt, I over did it last winter and still haven’t been able to eat it much. I don’t know why though. 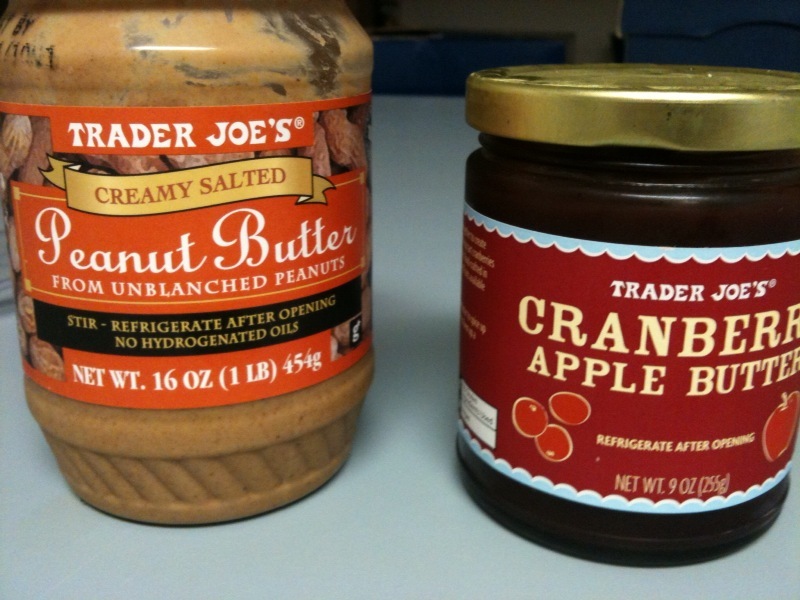 I love the cranberry butter. So good. I put it on everything.